"Far more children died last year drowning in their bathtubs than were killed accidentally by guns." — Tucker Carlson on Saturday, August 9th, 2014 in a broadcast of "Fox and Friends Weekend." By Jon Greenberg on Friday, August 15th, 2014 at 10:04 a.m.
Tucker Carlson, co-host of Fox and Friends Weekend, argued that bathtubs are more deadly than guns. Gun safety advocates are pushing laws to make it harder for children to play with guns kept at home. A bill in the New York Legislature, for instance, would require gun owners to secure their weapons by either keeping them locked up or installing a trigger lock. Failing to do so could warrant fines, loss of a firearms license or potentially jail. Behind the New York proposal lies the tragic story of a 12-year-old boy who was accidentally killed by his friend when he went over to the friend’s house. Fox News discussed the New York story on Fox and Friends Weekend on Aug. 9, 2014. Tucker Carlson, show co-host and editor of the Daily Caller, a conservative news website, challenged the basic premise behind the bill. 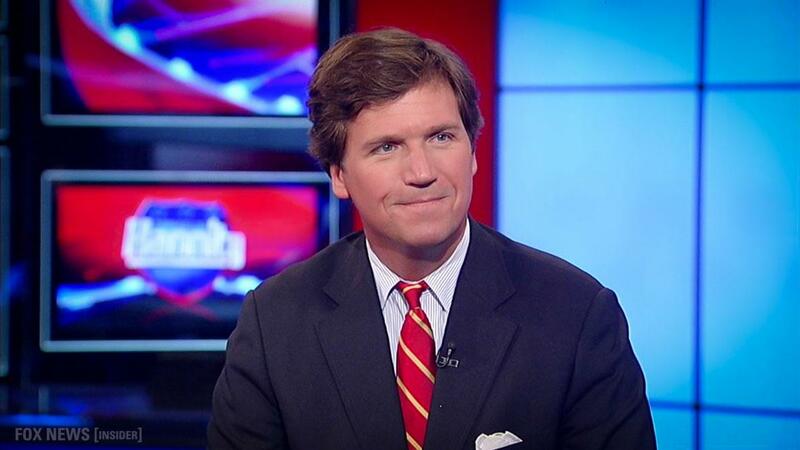 While the death of a child is "the worst tragedy imaginable," Carlson said there’s a deeper truth. "Far more children died last year drowning in their bathtubs than were killed accidentally by guns," Carlson said. "I’d like to see a package on ‘Do you have a bathtub at home because I want to know before I let my child go over to your house.’ A little perspective might be helpful." We reached out to Carlson to learn the source of his claim about deaths in bathtubs and deaths from guns. We didn’t hear back. We went to the federal government’s Center for Health Statistics to get some of that perspective that Carlson recommended. The data we found undercuts Carlson’s assertion. As the following table shows, total deaths for children 17 and under due to drowning in a bathtub were 95 in 2011, the latest year the numbers are available. Total deaths from accidental gun shots were 102. The one age range where Carlson might be able to make a case is for children 0 to 4 years old. For that group, 73 died in a bathtub and 29 were killed by guns. But in every other age group, guns are more deadly than bathtubs. Carlson didn’t say what age children he had in mind, but in the context of the story he was responding to — and his rhetorical question about something "I want to know before I let my child go over to your house" — this is not about children under 4 years old. Parents don't let toddlers "go over" to a friend’s house. For that age range, Carlson’s comparison is off by a factor of three. Bathtubs caused 22 deaths for kids 5 and older and guns caused 73 deaths. The Consumer Product Safety Commission issued a 2012 report on bathtub drownings. From 2006 to 2010, total deaths were 434 for an average of 87 per year. The bulk of those deaths, 348, involved children under 4 years old. Most of the time, 62 percent, the immediate cause was a parent or other caretaker leaving the room. Carlson said far more children died last year drowning in their bathtubs than were killed accidentally by guns. First, there is no data for last year. The most recent data is from 2011. What that shows is that children 17 and under are more likely to die from accidental gunfire than from drowning in a bathtub, although the difference is small. However, for children 5 years old and up, government data show that guns are three times more deadly than bathtubs. Carlson was not just wrong, but with his phrase, "far more children died," he was emphatically wrong. Published: Friday, August 15th, 2014 at 10:04 a.m.